The City of Vancouver has grown up on the unceded Coast Salish territory of the Musqueam, Squamish and Tsleil-Waututh Nations. Make time when you visit to discover the ancient history and deep- rooted culture of the First Nations which is prevalent throughout Vancouver. 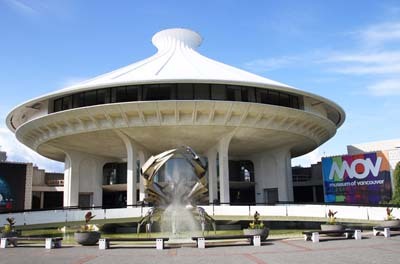 The ancient traditions and stories are told at world renowned cultural centres, permanent and visiting exhibits at local museums and vibrantly coloured totem poles in the heart of the City. 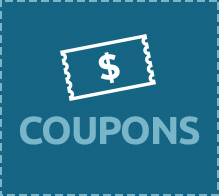 Visit some or all of these Vancouver Attractions, to experience the area’s rich First Nations heritage and save as much as 30% on all admissions. Head back downtown, along the scenic Point Grey Road to Vanier Park, for a stop at the Museum of Vancouver, who present in partnership with the Haida Gwaii Museum, a visual feast of innovation and tradition through the temporary exhibition, Haida Now, to June 15, 2019, Featuring an unparalleled collection of more than 450 Haida artworks created as early as 1890. While the permanent exhibition, c̓əsnaʔəm, is the first story of the Museum's History Galleries. This collaborative project aims to generate public discussion about heritage and Indigenous history, and to raise awareness of the significance of c̓əsnaʔəm, an important ancestral village of the Musqueam First Nation whose ancient burial site was discovered through urban development. A visit to Vancouver wouldn’t be complete without a stop in Stanley Park, home to local Coast Salish people for thousands of years before colonization. 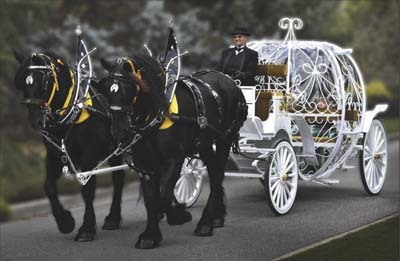 Take a turn around the Park with Stanley Park Horse-Drawn Tours, to learn some of their stories, the tour includes a stop at the Totem Pole display, where nine poles gathered from across the Province celebrate the stories and people of some of BC’s oldest communities. 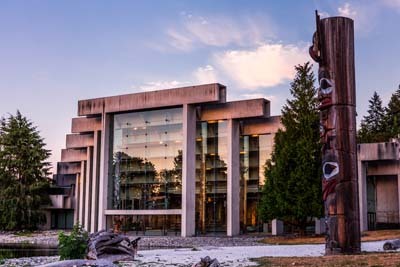 Complete your exploration of BC’s earliest south coast peoples with a trip up the scenic Sea to Sky Highway to Whistler for a visit at the Squamish Lil’wat Cultural Centre. This beautifully designed Cultural Centre tells the story of two aboriginal nations, the Squamish and the Lil’wat. 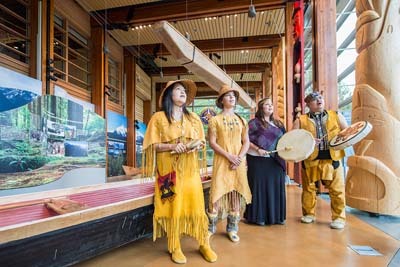 Take a guided or self-guided tour through the museum and contemporary galleries, watch traditional dances and songs, and walk through two outdoor dwellings: the cedar Squamish longhouse and the Lil’wat Istken, an underground pit dwelling with a moss roof.